There&apos;s endless discussion about the guilt, exhaustion and criticism working mums face, so it&apos;s refreshing to have a working dad add his voice and experiences to the mix. 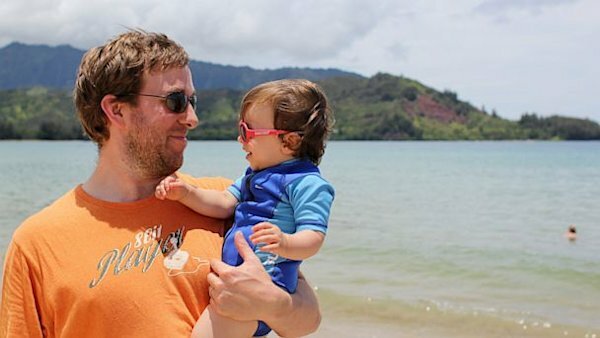 Facebook executive Tom Stocky has just spent four months at home on paternity leave with his baby daughter and has posted on his Facebook page what the experience taught him. His thoughts on the pleasure, pain and discrimination he experienced during his time at home have gone viral. To date, his post has been shared 3653 times and "liked" by 6079 people. "Today&apos;s the last day of my paternity leave, so I wanted to reflect a bit on the experience," Tom wrote. "When I tell people I&apos;m on a 4-month leave, the initial response is typically surprise that my company offers such a generous benefit. Facebook&apos;s paternity leave policy is unusual, but I hope it becomes less so. It&apos;s good for gender equality in the workplace and it&apos;s good for families with fathers. "That&apos;s typically followed by surprise that I&apos;m actually taking it — why would I want to subject myself to that torture (from parents), why would I want to sit around and do nothing for 4 months (from non-parents), or why would I want to do what is surely a career-limiting move. "That last one was especially interesting to experience because in some ways people said to me what they didn&apos;t feel permitted to say to women. Would my project still be there when I got back? Wouldn&apos;t my ambitious coworkers use this as an opportunity (maliciously or not) to advance themselves at my expense? Wouldn&apos;t I be viewed as being less committed to my work, thus stunting my own advancement for the foreseeable future? I didn&apos;t know the answers to these questions, but I viewed this as an important enough experiment to find out." Stocky admits he found the first days of paternity leave were much harder than he thought they&apos;d be. "Caring for my daughter was physical work that required being constantly alert. I had thought her two naps each day would serve as breaks, but instead that time was mostly used for showering, feeding myself, washing bottles, cleaning up her high chair and toys, and doing tasks around the house that would be more difficult when she was awake." As for missing his workplace: "For the first few weeks, I missed my old job. The new one was more physically exhausting and less mentally stimulating. Each day was almost identical to the last: wake, change, feed, play, feed, change, nap, change, feed, play, feed, change, nap, change, feed, play, feed, sleep. "A switch flipped sometime just after the 2nd month, when I could more easily imagine myself being happy doing this full time. Maybe it was because she was 2 months older and had learned new and cooler tricks or maybe it was because I was really starting to reap the benefits of my work. It was nice to have her like me so much, to come to me for comfort when she fell, to come and cuddle with me when she got sleepy, to run toward me screaming with excitement after I&apos;d been away for awhile. I realized that&apos;s just because I spent so much time with her, but I didn&apos;t care, it felt really good. Maybe it was also because I got better at childcare. It feels nice to be good at something, and I got much better at the work I was doing at home." But he says the reactions of other mothers "were daily nudges pushing me away from my home and back toward an office". "I didn&apos;t like being the only dad at the playground, getting cautiously eyed as moms pulled their kids a bit closer. It probably didn&apos;t help that I tried to lighten the mood the first time by saying, "Don&apos;t worry, I&apos;m not going to nab your kid, I already got this one." I felt awkward at the mid-day baby music class, like I was impinging on an established mom circle, so I switched to the 5pm one that had more dads. "An example of #1 is the ridiculous praise I often get for changing a diaper or buying groceries with my daughter. To channel a more politely-worded Chris Rock, of course I take care of my kids, I&apos;m supposed to, you low-expectation-having (yet well-intentioned-and-undoubtedly-nice) person. It also still gets under my skin when people call it "babysitting" or "daddy daycare." "#2 includes the back-handed compliments I received dozens of times over the past few months. "Your wife must work so hard. That&apos;s great that you&apos;re able to pick up the slack." Has someone ever said that to a woman? "#3 is really a variation on #2, though it usually came in the form of an assumption ("Does your wife have the day off today?") then a correction ("No, I take care of our daughter during the day.") that usually left the person at a loss for words. I remember one unusually direct comment from a women who told me, "It&apos;s too bad you can&apos;t earn as much as your wife so she can be the one to stay home." I don&apos;t mind the assumption about earning potential, but I do mind the one about my wife being the preferred at-home parent." Stocky confessed to reading Facebook COO Sheryl Sandberg&apos;s book Lean In, which examines why women’s progress in achieving leadership roles has stalled and offers solutions that can empower them to achieve their full potential, while on paternity leave. "The book argues that we need to do more to support at-home spouses of working mothers," he says. "Speaking from my brief experience as an at-home dad, I couldn&apos;t agree more." As for how Tom felt on the eve of his return to work, it&apos;s an emotion many parents will relate to: "I love that job, so I&apos;m excited to get back into it, and I&apos;m curious to see if any elements of people&apos;s career concerns about my 4-month absence have played out at all. But I also know that I&apos;m going to miss my daughter terribly, and I already feel guilty that I&apos;m a bad parent for spending so much less time with her." Welcome to the club Tom, welcome to the club.